Handwriting tattoos: what you need to know. 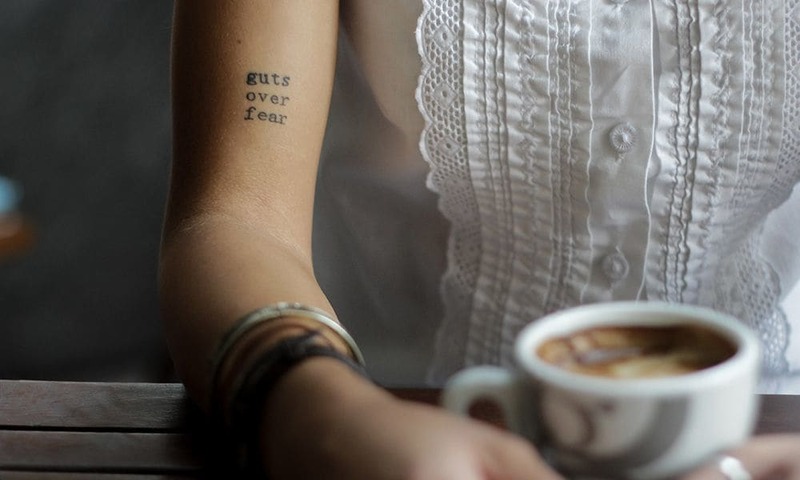 These handwriting tattoos can be beautiful, classy and versatile. This tattoo style is becoming increasingly popular among individuals wanting a permanent reminder of someone important to them or a tribute to a loved one. Most tattoo artists will be able to scan handwritten text and replicate it exactly on the skin. However, there are a few tips to keep in mind when considering this tattoo style. 1. Size matters. Tattoo lines will expand slightly as the ink settles into the deeper layers of the skin. If the letters in your handwriting sample are written in cursive or are close together, they may bleed into one another if the tattoo is too small. If you are concerned about the potential of bleeding, talk with your tattoo artist about enlarging the handwriting sample. 2. Choose your audience. Script and handwriting tattoos are meant to be read—but by whom? Consider whether you want this tattoo to be a personal message to yourself or a message to the world. This will help you determine tattoo placement. Remember—the script will look backwards in the mirror. 3. Be specific. When attempting to recreate your handwriting or the handwriting of someone you love, it’s important to get it right. Be clear about what you want and ask your tattoo artist for advice about the size, placement and style that will best preserve the text exactly as it was written. If you are interested in a handwriting or other type of tattoo, contact us to schedule an appointment or to get more information about the services we offer. The Skin Factory Tattoo & Body Piercing shops in Las Vegas and Henderson NV has the most talented artists in Sin City. Call 702 435 1149 to discuss your next work of art.